Thought i would start up another draft. For this one i will need 7 people not including myself. Must be active posters (i will determine.) I will also use Budge's rule of missing 5 windows will get u kicked out of the game. 3. Card will have 4 Prelims, 4 swing bouts, One 4 man tourney, Co- Main event, and a Main Event. 4. Fighters can only fight in a weight class that they have competed in the last 3 years. No Catchweights. 5. You will have 12 hours to make your pick, after the 12 hours the draft will continue and u can catch up when u log back in. 7. Voting will be the same as my last draft and the same as Budge's current draft. I think thats it so let the sign-ups begin!! IN! So our main card needs to be a 4 man tourney? Thanks for the heads up Andy, count me in mate, like the little twist of a 4 man tourny. Thanks for the heads up Hashy. I'm in. Come on emfleek, come on gspfan. Sorry, man. I'm drafted out. This will essentially be the same draft as the past 2 or 3. Same participants, same rules (for the most part). You know you've been apart of too many fantasy drafts when you start to pick up on certain trends like who a guy is going to draft and who they're going to match them up against. I even find myself drafting quite a few of the same guys every time out. I'm in, gents. Thanks for the invite. names boo hashy andy may i join your draft. seems like a solid group of guys. I like your style kidboo, so im gonna say OK. Just take sum time to read the rules, and dont be scared 2 ask questions. Cool thanks hashy, i wont miss any windows. I vote to let a ninth player in (Pookie) and let him join make the 9th pick. With the third pick, TheBudCan selects...Georges St. Pierre. I agree, Pookie should be in for our 9th. Pookie can have my spot. I will be out of town the next 5 days for business and won't be able to check the computer as much as i used to. Sorry for backing out, but Pookie can take my spot. Have fun guys, I'll be back for the next one. 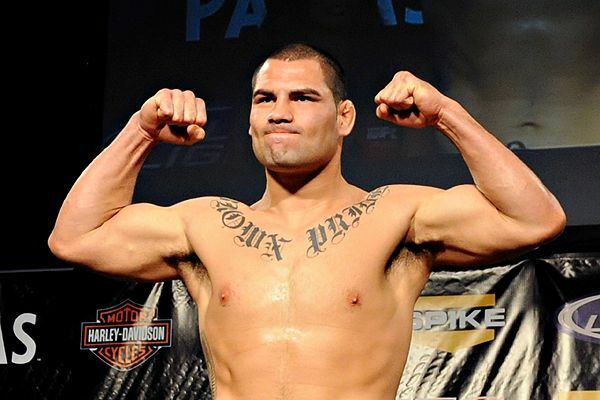 For my first pick I'll take Cain Velasquez.